We will be celebrating our 4th birthday on Saturday 21st April. Come down to the garden, bring your family, friends and a picnic to share. There will be lots of fun activities for the kids, including face-painting and games. 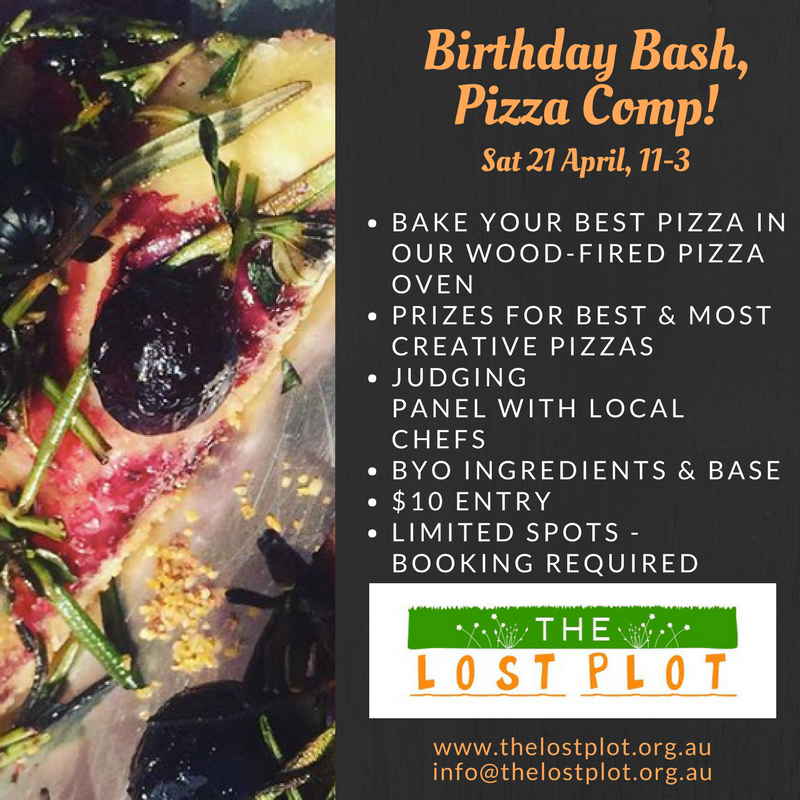 Adults can join our first ever pizza-making competition using our wood-fired pizza oven (email events@thelostplot.org.au to enter - spaces are limited). There will also be garden tours and a workshop on crop rotation. Entry fee of $10 as a garden fundraiser. Want to enter? email events@thelostplot.org.au to enter - spaces are limited. Prizes for the winning pizzas - overall winner, and 'most original'. Prizes include a Bill's Seafood Voucher and some gardening goodies from Bunnings.